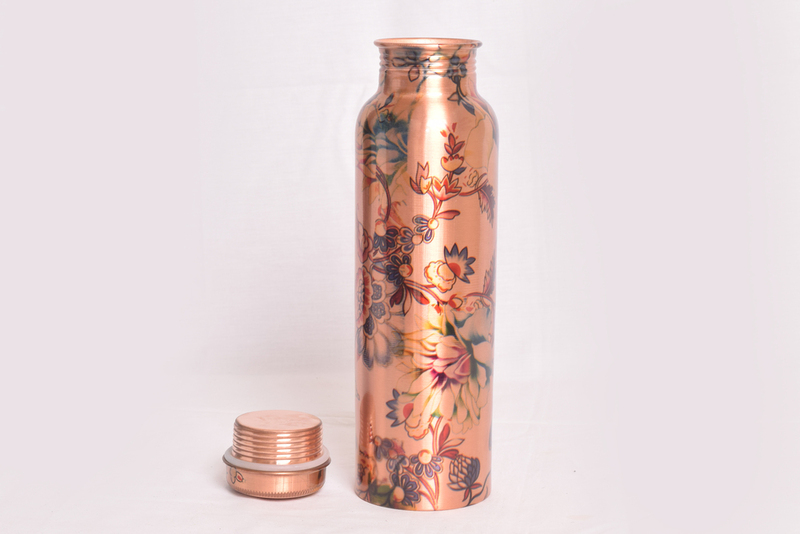 Copper water bottle with printed designs. 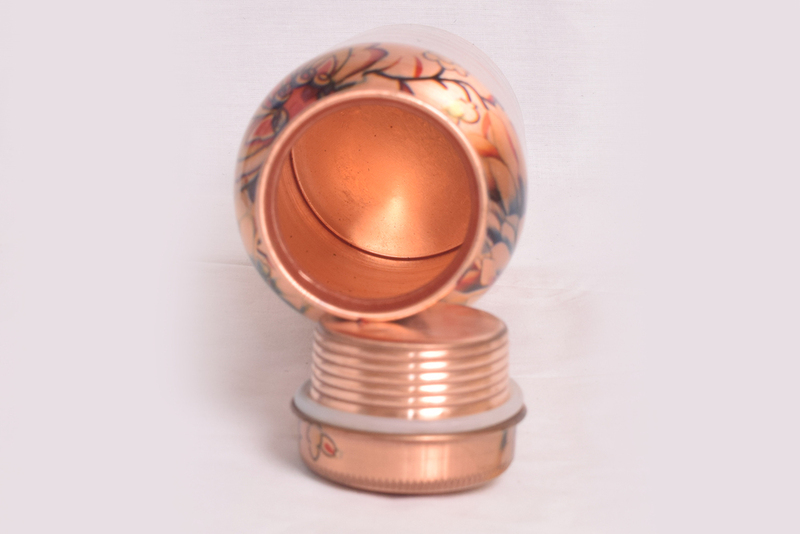 Made of pure copper and weighs approx 300gms. Get the health benefits of copper by storing water overnight and drinking empty stomach early in the morning.